Jackie Fo: Healthy(ish) Summer Entertaining! Yesterday was the first day of summer, and while that means lots of fun things, it also brings horror to women across the world. Why? Because it's time to rock that little ole' bathing suit. 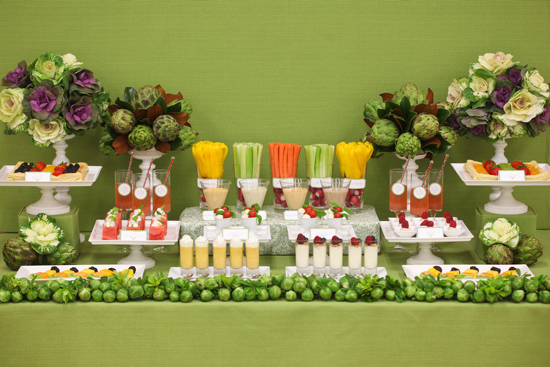 And if you're like me, you want to look good without compromising your summer entertaining. 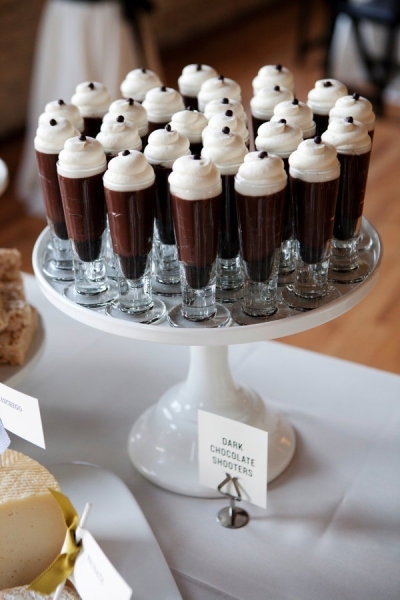 All joking aside, life is too short to not throw parties and celebrate life with yummy food and drinks, right? I'm here to your rescue to show you how to throw a party with healthy food that actual tastes good, looks adorable (duh) and won't ruin your bikini bod. And you know you look DAYUM GOOD in that bikini, right?! Confidence is key ladies. And gents. 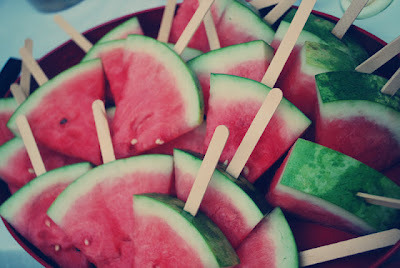 Watermelon on a stick - this is easy, yummy and cute to look at. Triple Word Score. Hit up your local farmers market for produce this summer and EAT LOCAL! It's cheaper and more fun than the grocery store. Plus you can support your community, which is just a nice thing to do. 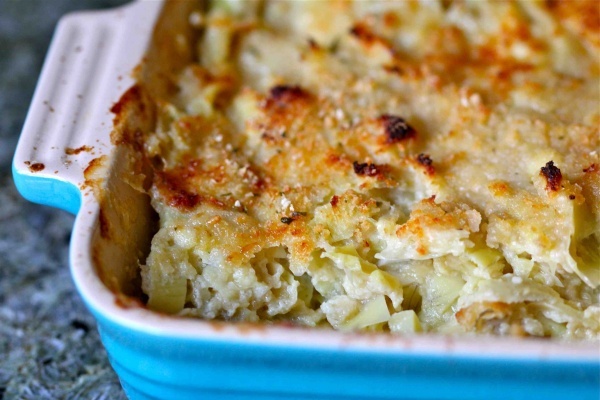 Classic artichoke dip is packed with mayo, try this lighter version made with yogurt. The taste doesn't suffer! If you're going straight up with a veggie display, it doesn't have to be heinous looking. Veggies can be pretty too! 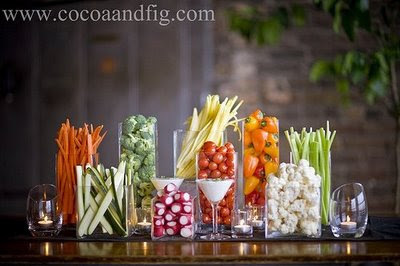 I love this modern looking veggie display. These mini cheesecakes made with yogurt are seriously darling and perfect for July 4th! 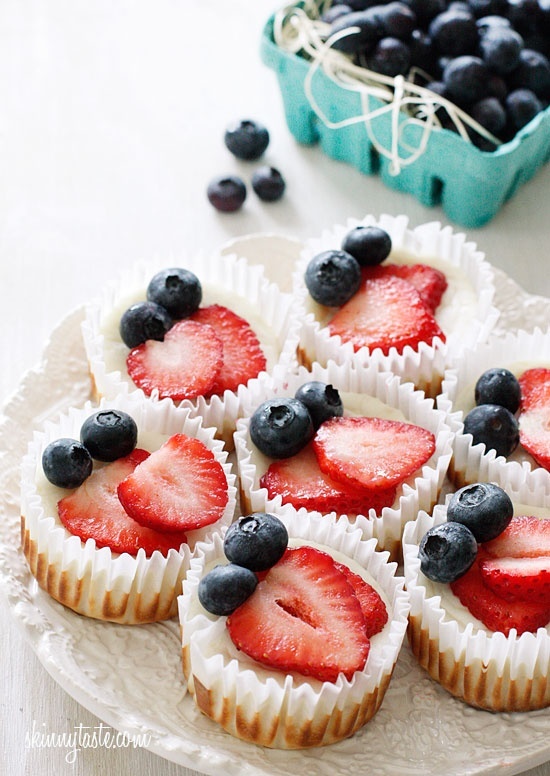 These come from a great website called Skinnytaste that takes classic recipes and makes them lighter. But they still taste yummy and look pretty, or else I wouldn't be talking about it on my blog. Image Credit lost in cyberspace - sorry! 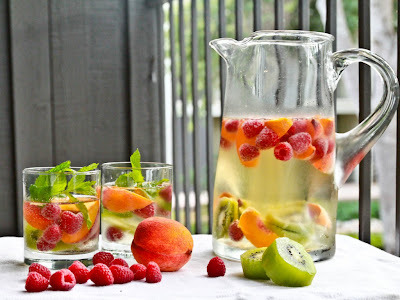 This Skinny Sangria Sparkler is gorgeous to look at, isn't it? I'm making this this weekend just for kicks. 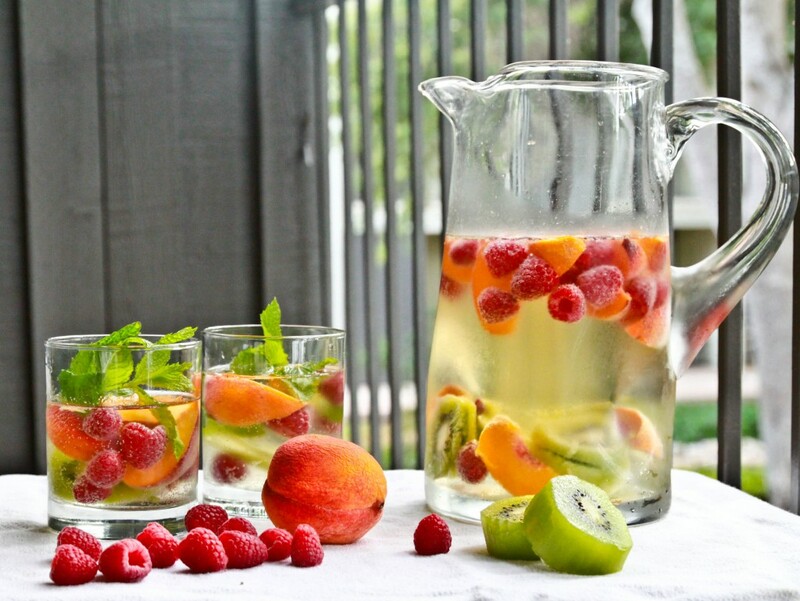 Because you need a go-to summer cocktail and this just might be the winner. 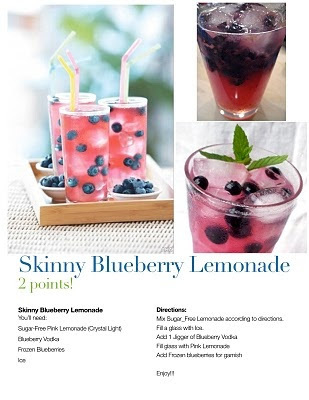 Ooh...or should i make this Blueberry Lemonade with Vodka? Decisions, decisions. 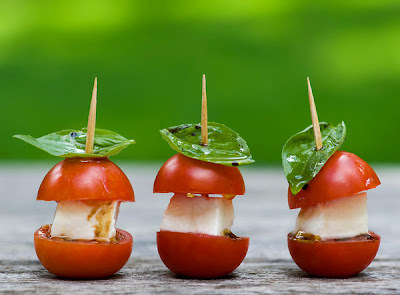 Per my recent blog post, you know I am obsessed with all things mozzarella and tomato. We've all had 7-layer Mexican dip, now how about 5-layer Greek dip with protein packed hummus. Have I talked about my hummus obsession? A day without hummus just doesn't happen in my life...I'm obsessed. Store bought only as I admit I've tried and failed to make my own. Sometimes you need to leave it to the pros. 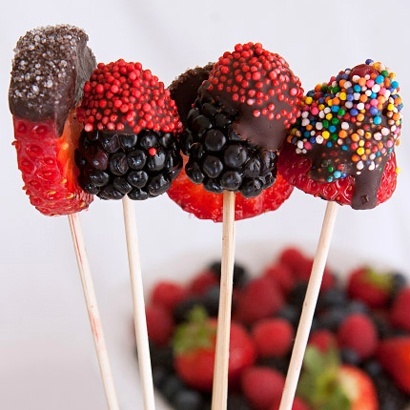 More chocalatey fruit, this time on a stick - yay! If you need something sweet and savory...this strawberry, chocolate and brie crostini is amaze-balls. 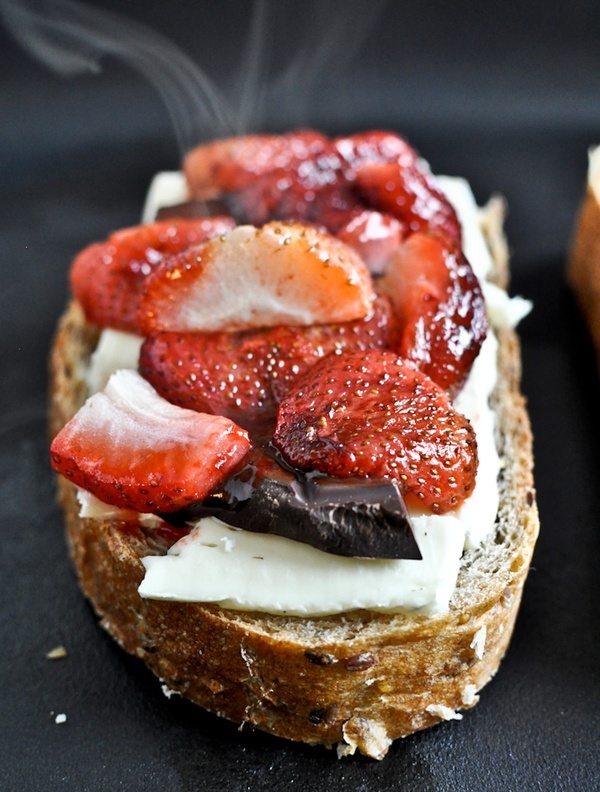 To quote Zoolander, this crostini is ridiculously, ridiculously good looking. And finally, something uber sweet and uber cute that's perfect for entertaining, dark chocolate dessert shooters. Did you notice that those last few desserts all used heart healthy dark chocolate...I'm always looking out for my peeps. 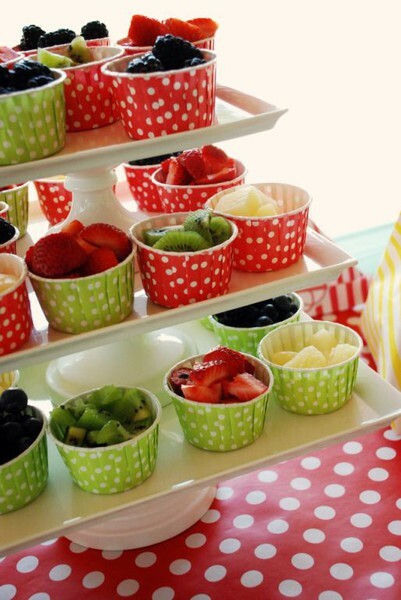 So don't let your entertaining suffer because you want to look good this summer. 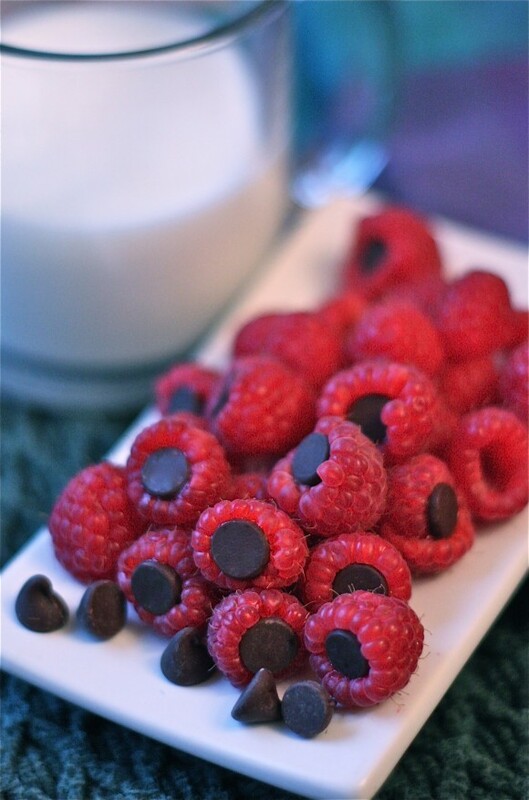 Yum - I want that chocolatey fruit. And I will take dark chocolate > any other kind of chocolate every time. Mostly for taste, but hey - it doesn't hurt that it's healthier! The watermelon on a stick reminds me of this recipe - have you seen it? The diverse Muslim city is also getting famous day by day for offering delightfully tasty food from Arabian and international origins.